As a follow-up to the recent post and comments "Are You Managing or Just Nagging? ", here's everything you need to facilitate a robust dialog on performance management, with lots of room for grey areas. 2. Nagging: Are You Managing or Just Nagging? Just made it up over the weekend - what do you think? Make sense? What's missing, what would you change? Could it make me rich and famous like Ken Blanchard or Marshall Goldsmith (humble credit to both for influencing my thinking on this model)? This is where a manager is taking appropriate action on legitimate performance problems. That is, there is something the employee is doing or not doing that is having a significant impact on results. Or, in the case of a behavioral or values issue, it’s having a significant impact on the results on others, company reputation, etc…. The post How to Discuss an Employee Performance Problem describes how to have this kind of discussion in a productive way, not punitive way. This is where a manager SHOULD be taking action on something the employee is doing or not doing, but because of a lack of courage, skill, awareness, or whatever, is not doing anything about it. The post The Cowardly Manager’s Guide to Dealing with Poor Performers describes in a tongue-in-cheek way the perils of this lack of avoiding addressing a performance issue head-on. Either way, the manager is able to take a well-deserved vacation, and the post 10 Reasons to go on a Vacation describes why it’s important for a manager (or anyone) to take vacation. This is where a manager is riding herd on an employee for some little thing that really doesn’t matter. While the issue may be a personal pet peeve for the manager, there’s no clear connection to the employee’s performance. The post Are You Managing or Just Nagging? attempts to distinguish between performance problems, works habits, and pet peeves. How can we move past the tough times of 2011 to a more profitable 2012? Well we could start by coming up with some new ideas to drive revenue growth. In this article I’ll demonstrate 3 different techniques that 3 very different businesses could use, and may have used, to think up new business ideas. 1. The S.C.A.M.P.E.R. checklist of questions is a powerful tool for looking at your existing product/service lines and coming up with new variations. Probably the best way to explain the technique is by working through an example. Let’s imagine you are a family owned ‘fast-casual’ restaurant in a small city facing big competition from national chains such as Panera Bread. What new product or service could you offer to fight back against your deep pocketed competitors? S = Substitute - Fast Casual restaurants focus mainly on food, less so on drinks and desserts. What if you substituted desserts for food, and ran a fast casual, high quality desserts restaurant? C = Combine - Could you combine the delivery option of a fast-food restaurant with your own restaurant’s quality food, to create an affordable, quality-food delivery service? A = Adapt – How about adapting the successful drive-through services that the fast food companies offer to the fast-casual market? Fast-casual food generally takes longer to prepare, so perhaps it could be a phone-in the order 1st, pick-up at the booth system. M = Magnify – magnify one aspect. Fast casual restaurants usually use higher quality ingredients, could you go a step further and go organic? Or vegetarian or even vegan? P = Put to Other Uses – use the restaurant as a market research center. Consumers get a free food item for every survey or test they take. The more expensive the item, the longer the survey. E = Eliminate (or Minify) – The classic Seinfeld episode, “The Soup Nazi”, centers around a passionate soup seller, who sells the ‘best soups in New York’ along with a couple of other items, in a super-efficient manor. Could you copy this tactic and focus laser-like on one main product? Serve the best pasta in the city? The best burritos, and only burritos? R = Reverse (or Rearrange) – Purchase and consumption of the food normally takes place on the same day right? What if you rearranged this a little so that diners pay in advance, perhaps weekly or monthly for 5,10,15 meals, with a large discount? 2. ‘False Faces’ is a thinking technique that works by reversing the conventional assumptions. The classic example is Henry Ford’s decision to bring the car to the workers, via a production line, rather than having the workers go to the car. Let’s jump forward 90 or so years though and look at a more recent example to explain the technique. ● Renters will travel to a central location where DVDs are stored -renters will come to the DVDs. ● If DVDs are returned late, the renter will be hit by late fees, as the DVD store misses out on potential rental revenue. ● Most of the rental revenue will come from a narrow range of hit movies. ● DVDs will come to the renter, either by mail or via their internet connection. ● No late fees, as a business model where the renter must replace each returned DVD benefits from tardy returns. ● Rental revenue will come from a vast range of movies such as… minor hits, documentaries, classics, kids movies. This will appeal to both early adopters (who can spread the word) and customers not being served by current DVD rental businesses. See what happened there? By reversing the conventional assumptions, a radically different business model has emerged which happens to be the one Netflix has deployed to great success. What could you discover if you reversed the assumptions around your business? 3. ‘Incubation’ is more than just ‘sleeping on it’. Everyone has heard the old cliché ‘let me sleep on it’ but you might not know why this works and the best way to apply this technique. Let’s look at a personal example to illustrate how to use the technique - How I used incubation to come up a name for my online suggestion box company – ‘Vetter’. Step 2 - gather information about the challenge. In my case I read articles about naming a company and looked at some competitors names, to make sure I picked something that stood out. Step 3 - Instruct your brain to find a solution, let go of the problem and forget about it for a while. Go exercise, sleep, socialize, work on other things. I use these techniques several times a month and have tackled all kinds of problems with them. What are your favorite techniques for coming up with new business ideas? Please post them in the comments. Duncan Murtagh is fascinated by the thinking process, creativity and ideas. That’s why he co-founded Vetter, which helps companies get more suggestion box ideas and break through the fuzzy front end. In my current role as Director of Executive Development Programs at the University of New Hampshire, I’ve had the opportunity to observe and interact with hundreds of our program participants. In former roles, in managing leadership development programs at large companies, I would always take the time to talk to participants before and after they attended an external executive development program. Along the way, I’ve learned a lot, including how to design programs that meet the needs of real-life executives. There are a lot of variables you need to pay attention to – the instructors, the design of the program, the venue, to name a few. However, there’s an important variable that I may have the least control over – but matters as much as anything else – and that’s the participant. I’ve seen it happen over and over again – same program, different participants, and wildly different results. While the rest of this list isn’t in order of importance, this one is THE most important for sure. The participants that learn the most, take the most away, and continue to learn and develop, well after a program has ended, are the ones that make every effort they can to connect with others. They network with the participants, the instructors, guest speakers, heck, even the cab drivers. It only takes a little extra effort – arriving a little early in the morning, putting the cell phone away on breaks, and exchanging contact information. More importantly, it’s a mindset – that everyone has something to share, and a willing to extend yourself to others. Being an introvert, I realize it’s not as easy as it sounds – so while it can be exhausting, it’s worth the effort. 2. Do the prework and evening assignments. Most executive development programs are heavy on the pre-work and evening work – case studies, assessments, interviews, etc…. They are designed that way intentionally as a way to maximize the time spent in the classroom. It’s always obvious when a participant has either taken shortcuts or crammed at the last minute. They are scrambling to catch up and can drag down their teams or partners. If you’re an introvert, see #1. If you hate making presentations, volunteer to go first. If you’re a right-brained analytical, try out some new creative techniques. If you have never tired sushi, then plug your nose and give it a try. When I was learning to ski, the instructors always said if you’re not falling, you’re not learning. Taking those risks – and either succeeding or failing and learning – is what development is all about. 4. Listen for understanding, not to judge. In other words, keep an open mind. Believe me, this is WAY easier said than done. We are naturally conditioned to evaluate, judge, accept what already fits into our worldview, and reject what does not. Successful senior managers are especially prone to this. Force yourself to suspend this tendency, and listen for possibilities. 5. Keep a journal and create an action plan. Although programs often encourage participants to do this, when I walk around, I often see a lot of blank pages. The ones that I see actually implement ideas back on the job seem to refer back to their own notes, not the formal course material. They internalize it, take ownership, and figure out a way to adapt it to their own work back on the job better than those that don’t. And yes, tablets are replacing the old Moleskin journals, and they work just as well. 6. Meet with your manager before and after the program. I’ve talked to managers who were not even aware their employee attended an executive development program – they thought they were on vacation! Meeting with your manager prior to a program to set learning goals and expectations, and after a program to review learnings and action plans – helps you hold yourself accountable. It’s also a good way to help justify your manager’s decision to invest in your development – and show your appreciation. Also, if there are alumni from the same program within your own company, take the time to reach out to them. It will help prepare you before the program, and give you a support system after the program. 7. Maintain your energy level. Get a good night’s sleep, avoid too much alcohol, and maintain your exercise routine while attending a program. Some programs even build a wellness component into the week – so if you don’t already lead a healthy lifestyle, a program may be the catalyst to get you started. More energy = more learning = more ROI. The participants I see in the fitness center are the ones that participate, ask the best questions, and outshine the karaoke kids. 8. Clear your slate for the program. No, it is NOT impossible to do this. I’ve seen high level, highly successful hard-charging executives manage to clear their calendars, delegate their responsibilities, and avoid conference calls, phone calls, and even emails for 3-5 entire days. They get tons more out of the program, and their careers don’t fall apart while they are off the grid. This is how they manage to network more (#1), exercise (#7), and do their evening assignments (#2). It takes some thoughtful planning to pull this off, but its well worth it, and can even be invigorating. If you follow these tips, you’ll double, triple, or quadruple your ROI. It doesn’t mean the program has to be ALL work and no play. It’s a shame to go to a new city and spend the entire time in a hotel or conference center. Many programs will either build in a night out, or allow participants to have an evening on their own. Go ahead, get out and see the sights and experience the local culture – in moderation. The informal social time can help build stronger, lasting networks, and helps create a memorable experience. Share these tips with anyone planning to attend an executive development program, or help build the list by adding your own tip in the comments section. If you’re in a leadership position, you make hundreds of decisions each day – and most of those have the potential to impact the well-being of others. They are moral decisions. Don Blankenship, the CEO of Massey Coal Mines regularly made decisions to bypass safety procedures and ultimately those decisions led to the accident which killed 29 workers. On the other hand, Jim Sinegal, the recently retired CEO of Costco Wholesale, generously paid his warehouse employees. Even part-time workers receive benefits. Incidentally, Costco employees sell twice as much merchandise per square foot of retail space as their nearest competitor – Sam’s Club! He did so in spite of steady criticism from Wall Street analysts. So, the decisions you make as a leader are nearly always moral decisions. If a decision impacts the well-being of other people, it is a moral decision. In our book, Moral Intelligence 2.0, we define moral intelligence as our mental capacity to apply universal human principles to our personal values, goals, and actions. 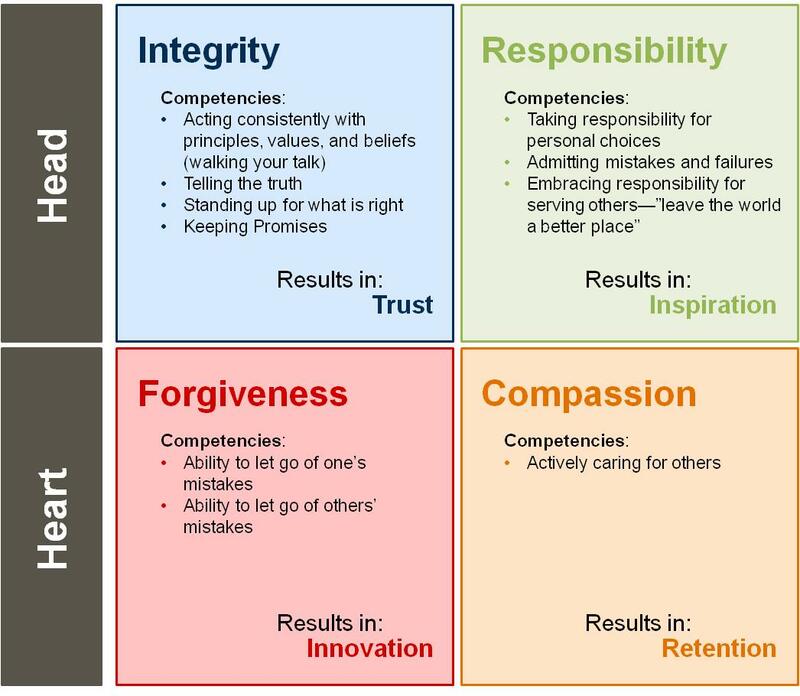 While cognitive (IQ) and technical intelligence are important in your role as a leader, moral intelligence is significantly more important because it directs the other intelligences and provides meaning. The implementation of moral intelligence can profoundly - and positively - impact your business. Wall Street and most corporate CEOs of public companies have embraced this view for at least the past 40 years. So How Has This Worked For Us? We think everyone would agree that the foundation of our free enterprise system has taken several jarring hits so far in the 21st century. The quarterly focus on shareholder return at all costs has frayed the fabric that holds the system together. Meeting “guidance” by managing earnings is the standard. “Spin” by a CEO is expected. Many of the regulations that worked before the mid-1970’s were dismantled and several onerous new regulations have sprung up in reaction to the resulting scandals. Neither of these changes were wise moves. Both the informal and formal rules and regulations have been changed. As a result, the norms for successful commerce have been weakened. If Milton Friedman were still alive, he would have to admit that it’s not the use of corporate resources for social causes that nearly brought down the world financial system. Quite the contrary – it was social irresponsibility – the pervasive absence of a sense of personal responsibility for the way the capitalistic system works. This is the subversive doctrine! As a business leader, your decisions impact the social fabric – for better or worse. Demonstrating personal responsibility and a concern for the common good as a leader is one of the major drivers of productivity and workforce engagement. Actual business results can, of course, be impacted by dozens of factors, but a CEO who cares only about pleasing Wall Street and demonstrates little concern for the common good will erode profits and jeopardize the long-term sustainability of the company. Doug Lennick is the CEO and Co-founder of the Lennick Aberman Group, a performance-enhancement consulting firm that works with executives, leaders and athletes. Fred Kiel, Ph.D., is co-founder of KRW International, Inc. and brings over 30 years of experience to his work with Fortune 500 CEOs and senior executives. 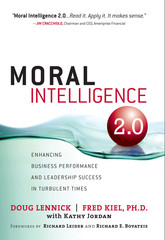 Their latest book, Moral Intelligence 2.0, Enhancing Business Performance & Leadership Success, offers insights into the mechanics and benefits of moral leadership and competency. In the past year, innovation has risen to the top of the business agenda. With the recession out of the way, corporations are refocusing on looking for new ways to grow. It seems not a day goes by that the major media writes (or broadcasts) stories in innovation. And, it has become more than just an imperative for our corporations, it has become a matter of national pride—or not. Some research shows that the U.S is losing its innovative edge to emerging economies. China, for example, is pouring a ton of state funds into programs, investments, and technology that foster innovation. Just coming back from Singapore in mid-November, I read an article in The Straits Times where the CEO of IDEO, a leading innovation consulting firm, blames the lack of Singapore’s progress on risk-aversion leadership. He felt that the emphasis on having KPI’s (Key Performance Indicators) for just about everything was taking “the breath out of innovation”. The question we want to address here is the role of leadership in innovation. In speaking on the topic around the world, I often ask audiences if the role of leadership is to innovate. The answer is usually no, but to foster a culture of innovation. They are partially wrong. It’s hard to imagine an organization with a team of leaders who are innovateless (a new word!). Imagine Apple without Steve Jobs. I just interviewed Carlos Goshen, Nissan’s CEO. He is leading the charge on zero emission technology. But they are right that innovation cannot flourish without leaders creating the conditions to make it happen. From 3-M sticky pads to Gillett’s Five Blade shaving system, most new ideas do not originate from the top. The type of leader who can create the right environment is part “personality”. Risk aversion, lack of receptivity to feedback, and arrogance are not the type of personality patterns we need for innovation leaders. However, our belief is that it also can be a skill. Innovation leaders must inspire curiosity, constantly challenge the status quo, create the freedom to explore and experiment, and finally help drive the execution of the most promising new ideas. • Help employees learn from mistakes and failures. But before we get too happy, a totally different picture is painted when we ask 514 employees the very same questions about their leaders. 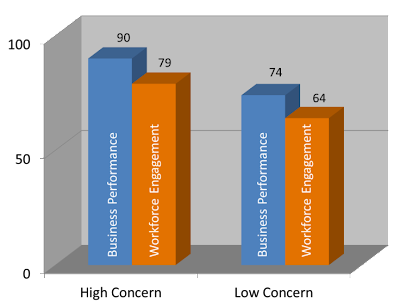 In almost every one of the 20 items there is a 20-30% agreement gap between leaders and employees. In other words, the majority of employees feel their leaders are not doing a very good job at all at inspiring a culture of innovation. There is a happy ending to this story. While it can be tricky, but not impossible, to teach leaders to be more innovative, it is probable we can develop the skills to make them innovation culture changers. We can teach leaders how to help their employees learn from mistakes. We can teach leaders a whole range of techniques to foster generation and evaluation of new ideas. We can teach leaders how they reinforce and recognize bottom-up innovation. 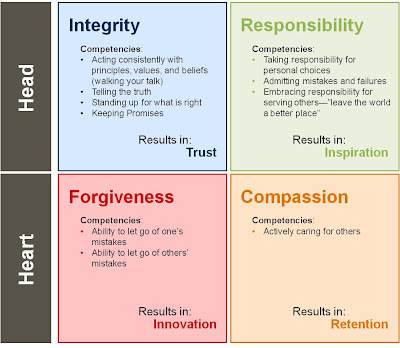 If corporation can get every leader using these skills their innovation hit rate will sky rocket. And, if we can get every leader in our respective economies using these skills, it will likely be a lasting source of national competitive advantage. Rich Wellins, Ph.D. is senior vice president of Development Dimensions International (DDI), and is an expert on leadership development, employee engagement and talent management. He is responsible for launching DDI’s new products and services, leading DDI’s Center for Applied Behavioral Research (CABER) and its major research projects and developing and executing DDI’s global marketing strategy. Are You Managing or Just Nagging? 1. Managers are responsible for the performance of those that report to them. 2. One of the core responsibilities of a manager is to take action when an employee’s performance is not up to par. 3. Confronting an employee performance problem is one of the most difficult (and also the most avoided) discussions a manager can have with an employee. 4. Many employees report that they feel their managers micromanage them, pick on them unfairly, or get all over their case for things that really don’t matter. In other words, they feel their manager is a nag. Why the big perception gap between a manager doing what a manager is supposed to do and the employee’s reaction? It’s often because a manager doesn’t know the difference between a legitimate performance issue or work habit and a personal pet peeve. I’ve found this lack of awareness isn’t just a new manager issue – I’ve run across it just as much with experienced managers that should know better. Although confronting an employee with these kinds of issues can still be challenging, employees are less likely to become defensive or take it personally. After all, the issue is the work – not the person. When discussing a work habit, managers need to take the time to make sure the employee understands the clear connection between the behavior and performance and company performance. “Sparky, when you don’t listen to your customers and interrupt them, they feel disrespected, which leads to complaints, which leads to lost revenue”. Some of you probably think the pet peeve list sounds very similar to the work habit list. In fact, given the job and context, one manager’s pet peeve may be another manager’s legitimate work habit. So how can you distinguish between the two, so you can be sure you’re doing your job as a manager and not being a nag? 1. Can I make a clear connection between the behavior (or lack of) and the performance output? 2. If the behavior doesn’t stop (or start), are you willing to take progressive disciplinary action, up to and including termination? For example, can you produce a report that shows the error differential between code that was properly tested and code that was not? Probably. Would you be justified in terminating an employee that refused to follow department testing procedures? You probably could. Could you make the same connection between developers that code with IPods plugged in and those that don’t? Probably not- in fact, there might be an inverse correlation. However, I know a lot of development managers that ban the use of IPods (or institute clean desk policies, dress codes, etc…) even though these things have no impact on performance. They do it simply because they don’t like it. That’s called nagging at best, or a lack of tolerance. At worst, it’s an obnoxious abuse of power, or discriminatory, that will lead to turnover of talented employees or lawsuits. Putting the toilet paper on the “wrong” way (facing up or down, whatever your preference is) is a pet peeve. Leaving the toilet seat up is a work habit. It can lead to a soaker in the middle of the night, and ultimately a messy divorce if not corrected. What about a work habit that’s NOT directly impacting performance? For examples, I’ve written about the “toxic employee” that consistently produces great results but wreaks havoc on the rest of the team. Or the manager that gets outstanding results but violates company values. Again, as long as you can show an indirect connection between the behavior and company performance (in these cases, it may be the performance/morale of others), and you are willing to terminate the employee if it doesn’t stop (assuming you have used a progressive discipline process), then it’s perfectly appropriate. In fact, I’d argue that it takes more courage to take action in these cases. Managing employee performance isn’t an exact science, but if your follow these guidelines, you stand a better chance of being known as a “firm but fair” manager instead of a Pointy Haired Boss (PHB). Success: A Breeding Ground for Complacency? Bill Gates said that, and he’s exactly right. More often than not, great accomplishments cause individuals and organizations to become comfortable with their way of doing things. Businesses turn static. Workers turn their focus inward. Even the most dynamic of organizations can turn complacent, thinking that what they are doing is right, that there is no need to change, regardless of what’s happening outside. Here’s one example: This summer, the Washington Post asked me to comment on the debt ceiling debate. At the time, congressmen were busy deflecting blame for the dire economic circumstances gripping the country. Negotiations were gridlocked. A deal to stave off economic calamity seemed out of reach. I wrote that Washington suffered from a “complacency cancer,” that after 250 years as the nerve center of the most prosperous, innovative, militarily and economically advanced nation in modern history, success had gone to our political leaders’ heads. They were resting on their laurels, refusing to change, confident that the old way of doing business would suffice. The same behavior was on display just a few weeks ago, as the congressional “super committee” failed to reach a deficit-reduction deal. The complacency cancer plagues the private sector as well. I recently read about a study that found successful companies to be far less likely than their weaker counterparts to pursue large-scale change. My own research over more than three decades has shown the same results: despite being better prepared to take bold action, companies with a high level of achievement tend to feel content with the status quo. They sit tight. They focus on themselves. And they ignore the rapidly changing world around them, even in the face of cold, hard facts that clearly show the need to move in a new direction. It’s plain to see how foolish this thinking is, but no one is immune—not you, not I, not even the most intelligent, experienced leaders. Yet, in today’s constantly changing world, complacency is a recipe for disaster. As a leader, you must do everything in their power to identify it and root it out. • Are team conversations inwardly focused, and not about new markets, emerging technologies or potential competitors? • Are past failures discussed only to stall new initiatives, rather than as learning experiences? • Do important meetings end with no decisions about what needs to happen immediately? • Do workers regularly blame others for problems, as opposed to taking responsibility and changing behavior? • Are highly selective facts used to shoot down data that suggests there is a major challenge or opportunity knocking at the door? If the answer to most of these questions is “yes,” then complacency has taken root. Before it continues to spread, you must take action to instill a sense of urgency in your employees. • Appeal to the head and the heart. Sales figures and spreadsheets can help people start thinking differently, but they’re not going to convince them to change their behavior and take the kind of action needed to move an organization in a new direction. That takes an appeal to the heart. Make a rational case, but do it in a compelling way to win over hearts and minds. • Bring the outside in. If inward focus is the problem, attention to outward reality is the answer. Share outside perspectives. Shed light on troubling data. Listen to customer-facing employees. Each of these tools can be persuasive in helping people see that the outside world is changing—and so, too, must their organization. • Behave with true urgency. Lead by example. If you’re expecting your employees to change, you must change first. Demonstrate your own sense of urgency—in meetings, in emails, during speeches and in one-on-one interactions—and never let up. • Find opportunity in crises. Always look for the upside possibilities. Crises are threats, to be sure. But destabilizing experiences, if navigated carefully and harnessed effectively, can be powerful drivers of change. • Deal with the naysayers. There will always be skeptics. But then there are people who, for whatever reason, simply do not want change. These people, especially if powerful, can be dangerous. The key is to confront them head-on. Do not try to co-opt them or ignore them. It won’t work. Instead, distract them by sending them on special assignments, expose the fallacies in their behavior for all to see, or, if all else fails, push them out of the organization. That bitter pill is sometimes necessary to fight the complacency cancer. As urgency takes hold, complacency vanishes. Now, your organization is on the path to true success: able to adapt, to change, and to continually seize big opportunities. 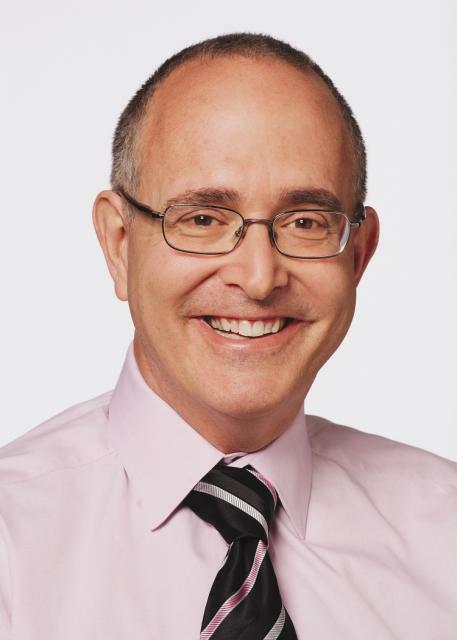 John P. Kotter is the chief innovation officer of Kotter International, a firm that helps leaders accelerate strategy implementation in their organizations. He is also the Konosuke Matsushita Professor of Leadership, Emeritus at the Harvard Business School. His is the premier voice on how the best organizations actually achieve successful transformations. His international bestseller Leading Change—which outlines an actionable eight-step process for implementing successful transformations—has been used by leaders around the world who want to achieve great results. John and his colleagues at Kotter International write the Change Leadership blog on Forbes.com. Note: this is an update to one of the very first posts I wrote in November 2007 and continues to be one of my most popular. I thought it was time for an update. The performance and potential matrix (9 box model) is one of the most widely used tools in succession planning and development. It can be a valuable tool for anyone who works in talent management, or for any manager. For some reason, however, it seems to be covered in a veil of secrecy, leaving those that want to learn how to use it with little guidance. You’ve probably found this post from an internet search – I hope it helps answer your questions and you’ll find Great Leadership to be a valuable resource for all things leadership development. What is it and where did it come from? 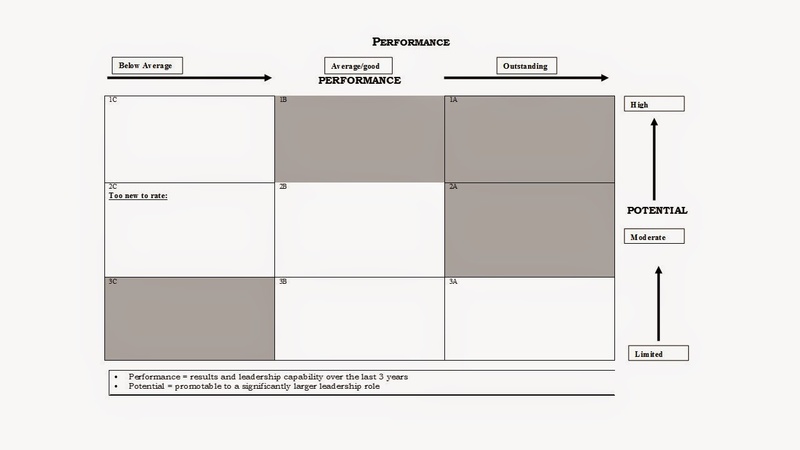 The performance and potential matrix, commonly referred to as “the nine box”, is a simple yet effective tool used to assess talent in organizations. It assesses individuals on two dimensions – their past performance and their future potential. No one seems to know for sure who invented it, although I’ve heard Al Gore once took credit for it. Others say it may have been first used at GE, under Jack Welch’s leadership. I first started using it in 1997, and have since used it to facilitate hundreds of talent review meetings (and lived to tell about it). I’ve also used it as a manager as a way to assess and develop my own team. Thanks to the power of Google, I’ve been invited to give presentations at HR conferences on the 9 box, was interviewed in SHRM’s HR Magazine (8/2011 issue, “On the Grid”), and walked a lot of anxious beginners through the process, including a very grateful HR team from India and a few non-profits that couldn’t afford to hire a consultant. I’m thinking it might be time for a bestselling book? Something catchy like “Let’s Get Rid of the Nine-box”, or “2B or not 2B, that is The Question”. What are the benefits? Why’s it so popular? 1. It’s simple and it works (95% of the time). I’ve had teams (often engineers) try to overcomplicate it, by adding more boxes, definitions for each box, and all kinds of bells and whistles. It hardly ever improves the process and often distracts from the overall purpose. When I say it works 95% of the time, it’s from my own experience. I’ve only had one senior team where it just blew up, and that’s because there was such a lack of trust and dysfunction. Actually, other than people’s time, or a paid facilitator, it’s free. There are other ways to assess potential – instruments and assessment centers are great – yet they are also expensive. If you can afford to send every manager through a $10,000 assessment center, then good for you. For the rest, this is the next best thing. 3. A catalyst for robust dialog. It’s not about filling out the grid – it’s all about the discussion. It’s critical to keep that in front of you. Managers, in general, are not very skilled when it comes to assessing talent, and are very hesitant to discuss other manager’s employees, or hear feedback about their own. This tool helps provide a structured way to have those conversations in a professional, productive way. 4. Helps calibrate criteria and expectations. Even if you don’t have clear, consistent, definitions of performance and potential going into a talent review, by using this tool, you will by the time you are done. If fact, for a lot of managers in the room, it’s the first time they’ve heard their own bosses’ expectations, so you’ll see them discreetly jotting down notes and assessing themselves. 5. It’s more accurate than one person’s opinion. The accuracy of assessing performance and potential improves with multiple data points. Manager’s often have blind spots with their own employees, and are unaware of how they are perceived by others. These discussions can help shine a light on superstars and poor performers. 6. Facilitates shared ownership, teamwork. 7. A diagnostic tool for development. A talent review meeting uncovers both individual and organizational strengths and weaknesses. The grid serves as a needs assessment for development actions that need to be taken. 1. Don’t do it alone for the first time. The tool is best if used by a team and facilitated by someone who has experience with the process. This could be an HR person, OD consultant, or someone responsible for leadership development or succession planning. Once a team has used a couple times, they can usually do it themselves, but it still helps to have someone facilitate the dialog, take notes, etc…. If you are a talent management practitioner, try to shadow someone with expertise, hire someone to guide you through your first one, or at least work with someone to prepare you. You should present the tool and process to the team to make sure they all understand and buy in to the purpose and process. Don’t underestimate the amount of anxiety if a team has never done anything like this before (a ranking exercise). 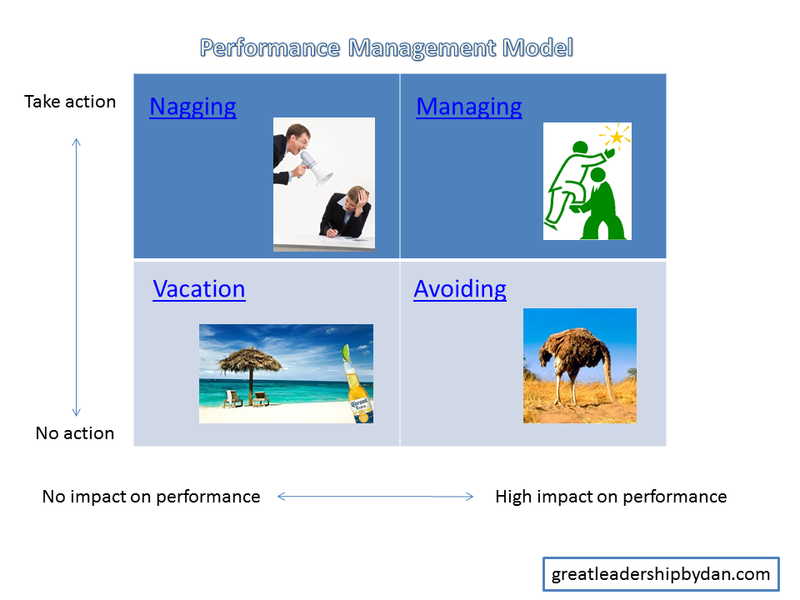 It’s best to decide ahead of time how performance will be assessed (use a leadership competency model if you have one) and how potential will be assessed (again, best to decide ahead of time – I use specific potential criteria). This is the time to establish ground rules as well, especially around meeting behaviors and confidentiality. Have each manager fill in a grid for their own employees and have the facilitator collect and consolidate them. You could also ask for any other relevant information, such as years in current position, diversity status, retention risk, or relocatability. I usually have each manager plot their direct report managers (one level at a time, so we’re comparing apples to apples). I then consolidate all of the names, by level, on an organizational grid. You can start with a 2-4 hour meeting, but it will usually take 1-2 follow-up meetings to finish. Bring copies of the consolidated grid for each participant. It’s easier picking someone in the 1A box (highest performance and potential) where you think there may be little disagreement. Ask the sponsor manager to explain the rationale for the assessment. Ask lots of why’s, then invite all others to comment. Don’t rush it, the benefit of this process is in the discussion. After all have been heard from, if there is agreement, then you have a 1A benchmark, or poster child, for all others to compare against. If disagreement in perception, ask the sponsor manager if they want to change their mind based on the feedback – usually they do – but if not, leave it. Pick another name until you establish the benchmark. 7. Discuss as many names as time allows. You can then discuss rest of the names in the 1A box, then move to the bordering boxes (1B and 2A). Then move to the 3C box, and again, facilitate a dialog to establish another benchmark. Continue the discussion for each person, or as many as time permits. 9. Follow-up on a quarterly basis to monitor development plans. Repeat the assessment process at least once a year. Happy New Year, and welcome to the January, 2012 Leadership Development Carnival! This month's edition is a special "Best of 2011" collection of leadership development blog posts from many of our regular Carnival contributors. Similar to last year's "Best of" edition, I didn't pick them myself - instead, I asked each contributor to submit their own "best" post, along with an explanation as to why it's their best. Great stuff - and I really enjoyed the author's commentary on why they picked them. After four years of hosting this Leadership Development Carnival, I'm proud to have gotten to know these awesome bloggers and am inspired by their writing. What a way to start the New Year - I hope you enjoy! 1. Sharlyn Lauby, HR Bartender: The Definition of Leadership. Reason: " A terrific discussion in the comments on whether we should continue to compare management and leadership". 2. Mark Stelzner, Inflexion Point: How To Talk To A CEO. Reason: "One of my most popular of 2011 and seems to have universal appeal (given how so many individuals are challenged to prepare for and successfully execute against this nerve-wracking experience)." 3. Mary Jo Asmus, Mary Jo Asmus: 30 Overlooked Acts of Leadership Courage. Reason: "This was my most read post this year. For some reason, every month or so, it seems to make the rounds again and get reignited in social media. I think this happens because we don’t consider the acts listed as “courageous” but see them as everyday occurrences when in reality in our business world many of them are uncommon, and we want to see more of these things from our leaders. " 4. Laura Schroeder, Working Girl: On Leadership and Stinky Fish. Reason: "This leadership development post was one of the most fun to write. It has it all: leaders, stinky fish, a funny picture, a bit of personal history and a moral." 5. Tim Vanderpyl, The LeaderLab (submitted by David Burkus): Save a Tree, Stop Strategic Planning. Reason: "This was our most read piece of original content published in 2011". 6. Anne Perschel, Germane Insights: The Narcissistic Leader: How and Why We Choose Them. Reason: "I'm writing about Narcissistic Leaders this month and holding others accountable for asking them to lead. This one's been a big hit." 7. Jennifer V. Miller, The People Equation: Making the Most of Leadership Assessments. Reason: "I see it as a good “fit” for the core purpose of Dan's Great Leadership blog: leadership development. It was also one of The People Equation’s top five most-read posts from 2011." 8. Miki Saxon, MAPping Company Success: Ducks In A Row: Carrots vs. Acknowledgements. Reason: "I like this post because I find that too many managers don't stop and give thought to the difference between rewards, i.e., carrots and acknowledgement. And the difference is critical for any manager/leader who is responsible for motivating people, whether a team or the whole company." 9. Jane Perdue, LeadBIG, All the broken leaders. Reason: "Sometimes there's a hangover from things in our past of which we're not fully aware. That became true for me as I wrote this post. Writing evoked many painful memories of that 10-month period, yet revisiting the pain was healing, too. Many of us learned invaluable leadership lessons via a pair of very negative role models. While the post generated online comments, what moved me most were the off-line one-on-one emails it spawned. It seems "The Fixer" is universal, and people had awesome stories of learnings and positive change to share." 10. Jesse Lyn Stoner, Jesse Lyn Stoner Blog: Diagnose and Cure Team Drift (published in Harvard Business Review blog). Reason: "This post tackles an important, little-talked about issue for teams - "team drift." While major changes alert us that we might be off course, “team drift” occurs as a result of a series of small things, each insignificant on its own, the total of which has accumulative impact. Teams usually just slowly continue to drift off course, not even aware of what’s happening. This post lists 7 warning signs of "team drift" and the 4 steps to address it." 11. Lynn Dessert, Elephants at Work: Do I have to sign my termination or separation agreement? Reason: "This is the most read post of Elephants at Work since its inception and continues to be the #1 post for 2011." 12. Anna Farmery, The Engaging Brand: The Confused Employee. Reason: "It was the most popular post of the year." 13. Eric Pennington, Epic Living: The Power of Courage. Reason: "This post is my favorite because addresses what I need to understand as well as what will be needed in spades in the not-so distant future. I am an experiential writer after all. J"
14. Guy Farmer, Unconventional Training: Leadership Training: Are You an Insecure Leader? Reason: "I've trained many leaders and employees over the years and I keep hearing about insecure leaders working out their stuff on everyone and making everyone miserable. This post highlights the importance of leaders working on themselves first so they can treat people well, lead more effectively and create happy workplaces." 15. Nick McCormick, Joe and Wanda on Management: Are Your Goals HARD? Reason: "Here's a podcast I did with Mark Murphy back in May. It's especially appropriate for this time of year as it is on goal setting..."
Reason: "The anniversary of Allied invasion of Normandy, D-Day, June 6, 1944 is agood time to reflect on the leadership lessons we can learn from GeorgeC. Marshall, whom Churchill described as "The Architect ofVictory." We can learn a lot from the way he did his job." Reason: "You won't find a straight line in nature. In fact, the only place youfind straight lines is in artificial things, like books and theories onleadership development. We've got to change that." 18. Scott Eblin, Next Level Blog: What I Learned About Leadership from the Dalai Lama. Reason: "Seeing the Dalai Lama in person was a rare opportunity and one that exceeded my expectations. I really like this post because it does a nice job of capturing my experience of seeing him in person in his role as a political and spiritual leader. I also loved all the comments that readers left about their own direct and indirect experience with the Dalai Lama and the general sense of agreement that his approach to leadership would make a big difference in the world." 19. Meg Bear (submitted by Mark Bennett), TalentedApps: Ready now! Does Succession Planning backfire? Reason: "This post encourages leaders to take a “big picture” view of succession planning and not get lost in the narrow, risk-averse view that it will just result in your talented people leaving. It got a lot of views, “likes”, and positive comments." 20. Dan McCarthy, Great Leadership: 10 Mistakes Every Leader Should Make (and learn from) before They Die. Reason: "I had fun writing this one and it seemed to resonate with readers based on the amount of Twitter traffic. Being willing and able to admit your mistakes - and learn from them - is one of the most effective ways to develop as a leader." Jim Taggart presents Are YOU an Authentic Leader? posted at ChangingWinds, saying, "We’ve heard statements that leaders are born. Others argue that leaders can be developed. Well, how about going back in time to hear from Aristotle: “From the moment of their birth, some are marked for subjugation, and others for command.” Well, that may not be all that helpful, especially when the general consensus now is that leaders can be developed." Utpal Vaishnav presents You Don’t Need Your Own Business to Become an Entrepreneur posted at Utpal Vaishnav, saying, "You were born as an entrepreneur and you’re already an entrepreneur regardless of anything, no matter whether you run your own business or not." Linda Fisher Thornton presents New Years 2012: Questions For Leaders posted at Leading in Context LLC. Katie Sorene presents 10 Volunteer Programs to Improve Your Leadership Skills posted at Travel Blog - Tripbase, saying, "A selection of volunteer programs to improve your leadership skills including teaching orphans in Sri Lanka, elephant conservation in Thailand and coaching soccer in Cameroon." Lisa Kohn presents Leadership lessons of a stomach bug posted at The Thoughtful Leaders Blog, saying, "How can a stomach virus possibly be a good thing? How can it yield inspiration for a thoughtful leadership lesson? Read on to see what I've learned from the stomach bug!" S. Chris Edmonds presents Be A Values-Aligned Leader posted at Driving Results Through Culture, saying, "Blanchard's culture guru S. Chris Edmonds shares the best practices of values-aligned leaders." Bob Lieberman presents The Sorcerer's Apprentice posted at Cultivating Creativity – Adaptive Leadership Strategies. Alicia Arnold presents Three Things Strategy Isn’t posted at Daily Creativity.